Real Madrid are reportedly poised to wait until Monday to decide on whether to launch a late bid for Paris Saint-Germain forward Kylian Mbappe. The reigning European champions lost Cristiano Ronaldo earlier this summer, but with just a matter of days remaining in the window, they have yet to fill the void left behind by their former talisman. Thinking of backing Real Madrid to sign Mbappe? Make the most out of using promos when betting for your chance to win big! Given he bagged 44 goals in 44 appearances last season, helping them to a third consecutive Champions League triumph, there is no doubt that they’ve lost a huge figure in the side. While Julen Lopetegui appears set to show faith in those already at his disposal with the likes of Gareth Bale, Karim Benzema, Isco and Marco Asensio set for bigger roles, there is a possibility that Real Madrid will make one last signing this summer. According to AS, UEFA will make a decision on PSG’s Financial Fair Play situation as early as Monday. Following on from that, if the Ligue 1 giants are forced to sell a prized asset this summer to settle their books, that could open up the opportunity for Madrid to make their move and snap up Mbappe. With the deadline looming, it doesn’t give Real Madrid a great deal of time to wrap up an agreement with both the club and player, and so it remains to be seen whether or not something can be done next week. 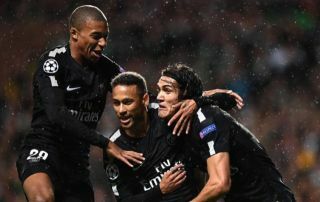 Nevertheless, Sport noted earlier in the week that the Spanish giants have put aside €300m to spend on either Neymar or Mbappe to take advantage of PSG’s situation, although the latest reports would suggest that it is the French World Cup winner who is the priority. The 19-year-old appears to be going from strength to strength as after previously impressing at Monaco, he bagged 21 goals and 15 assists in 46 appearances for PSG last season while landing domestic honours before adding a World Cup trophy to his collection this past summer in Russia. While he now appears settled in the French capital, the uncertainty surrounding his future due to FFP issues could now see Real Madrid take advantage as the reports above would suggest that they’re poised to swoop if their European rivals are forced to sell. Given his talent, age and star status, he could be an ideal signing for club president Florentino Perez to boost confidence that Real Madrid will be just fine in a post-Ronaldo era.